When a person copyrights his work, he gains several exclusive rights. He alone can make copies of his work, distribute or sell those copies, and perform or display his work. He can create derivative works, meaning a subsequent work in some way based on the original, such as turning a book into a movie or creating a sequel to a book or movie. The duration of copyright protection is not indefinite. For all works created after January 1, 1978, the copyright exists for the creator's lifetime plus 70 years from the date of death. Once the copyright expires, a work becomes part of the public domain and can be used by anyone. For example, William Shakespeare's works are in the public domain, and you can produce one of his plays without obtaining permission first. If you want to use a copyrighted work for any purpose other than "fair use," you need to get the copyright holder's permission. Occasionally, the identity of the copyright holder might not be clear, but in that case, it is still possible to locate the copyright holder by searching records from the U.S. Copyright Office. For copyrights filed after 1978, an online search is available. For older copyrights, a manual search will be required, for which you will pay an hourly fee. Once you have the copyright holder's information, you can contact him for permission to use all or part of his copyrighted work for the purpose you intend. Sometimes a copyright holder's permission to use a work is not required, under an exception to the copyright law known as the "fair use doctrine." This allows you to use a portion of a copyrighted work for the limited purposes of commentary, criticism, education, research and news reporting. Fair use can be complicated because the law does not define how much copyrighted content can be used without permission. Four factors are considered to determine whether your use qualifies as fair use: the purpose of your use of the copyrighted work, specifically whether it was commercial or not-for-profit; the content of the copyrighted work and how similar it is to your own work; how much of the copyrighted work you used in your work; and whether your use will affect the commercial value of the copyrighted work. If you are a copyright holder and someone has used your work without permission, you can file a civil suit for copyright infringement. If you can demonstrate the similarity between your copyrighted work and the infringing work, you will be entitled to damages set by statute at $30,000. If you can prove that the infringement was willful and that the person who used your work profited from the infringement, your damages can increase to $150,000. Willful infringement may be reported to a U.S. attorney for further investigation. The infringer can face criminal penalties, including jail time and fines, in addition to any civil damages ordered. Copyright.gov: Can I Use Someone Else's Work? Can Someone Else Use Mine? Poetry writing is a fun way to exercise one's creative writing skills. Poetry may be published free of charge on a person's website. Other sites offer publication of poetry books for a fee. Poetry is a type of literary work that is protected by copyright laws. 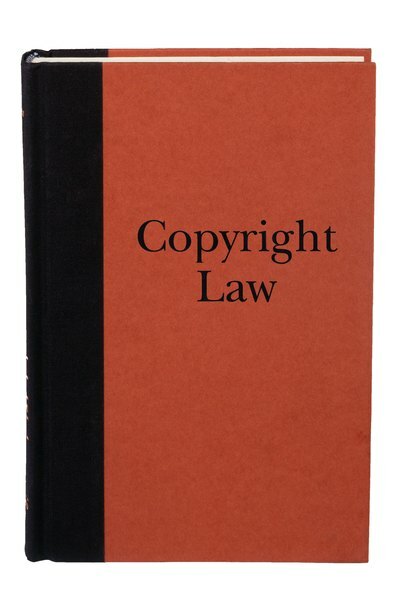 Title 17 of the United States Code contains the country's copyright law. U.S. copyright law defines the types of works that can be copyrighted, rights granted to a copyright owner and duration of that copyright protection. Additionally, the law sets forth the procedure for filing a copyright infringement claim when a copyrighted work is stolen. Lastly, the law explains the circumstances in which a copyrighted work can be used without permission.